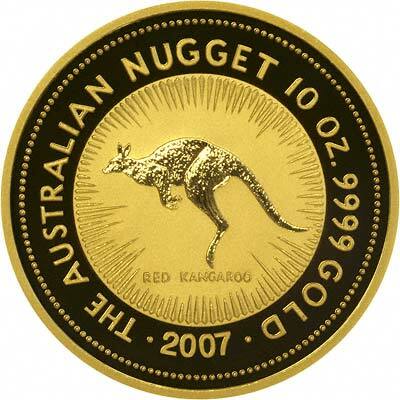 The 10 ounce gold nugget contain 10 troy ounces (311.035 grams) of pure gold, and is one of the largest regularly produced gold bullion coins. On this page, we indicate the availability of 10 ounce gold nuggets by date, and also "date of our choice". 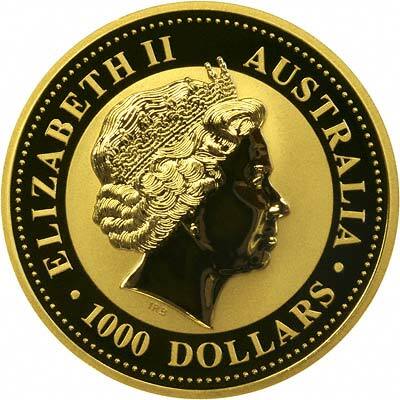 You will notice that for the first year 1991, the denomination (face value) was $2,500, after which it was altered to $1,000 bringing it into line with the value of the one ounce coins ($100). We can also offer the 1 kilo and 2 ounce sizes.